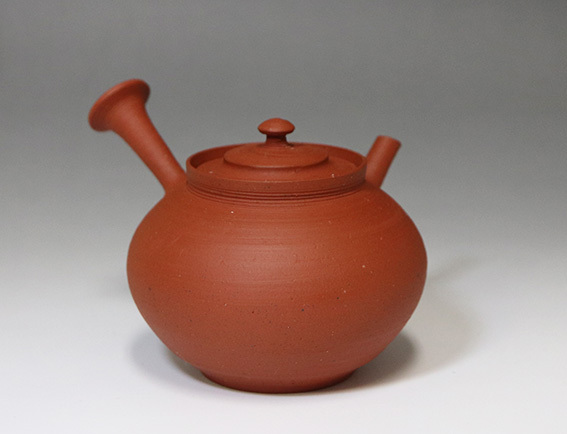 This is a shudei teapot by Yamada Sou, the grandson of Living National Treasure Yamada Jozan 3rd. 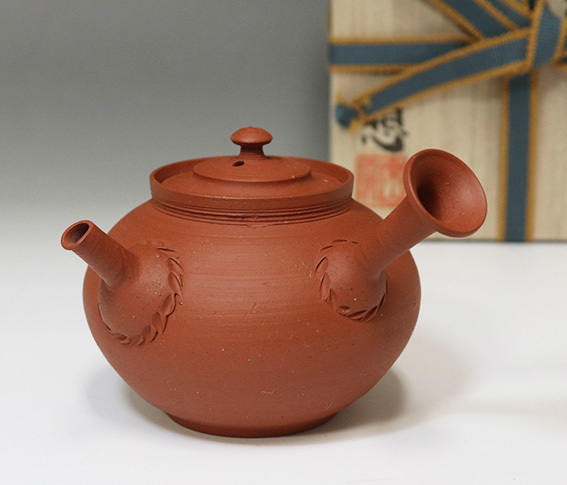 The "hikime"horizontal lines and the handmade touches on the body of the pot are reminiscent of the masterpieces created by Jozan 3rd and bear witness to the the careful instruction which Yamada Sou's grandfather was able to give him. 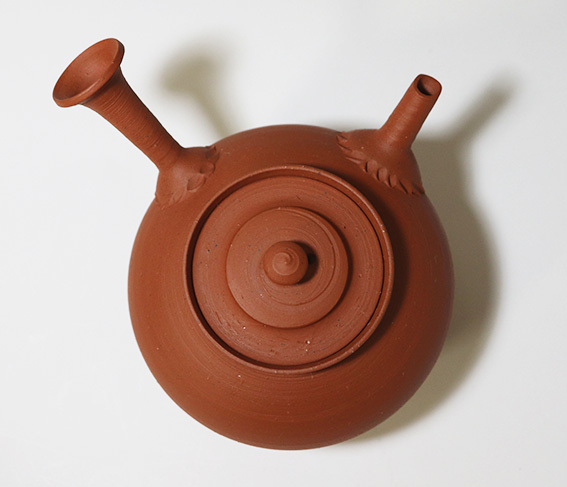 Yamada Sou does not grind the lid to make it fit perfectly, because he prefers to leave the lid untouched after firing. The small space around the lid means there is less chance of the lid sticking. This was taught to him by his grand father Yamada Jozan 3rd. 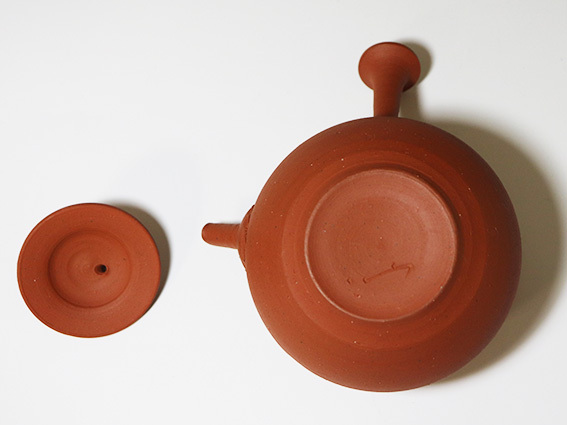 As Japanese tea is poured more slowly than Chinese tea, water will not leak from around the lid. Approx. 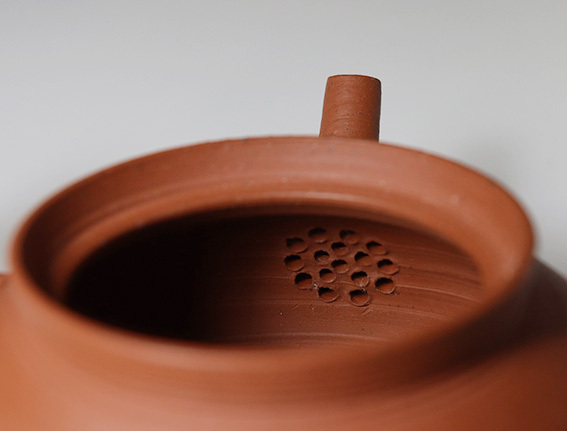 size: length ( body + handle) 11.5 cm / 4.5", height 7.5 cm / 2.9"